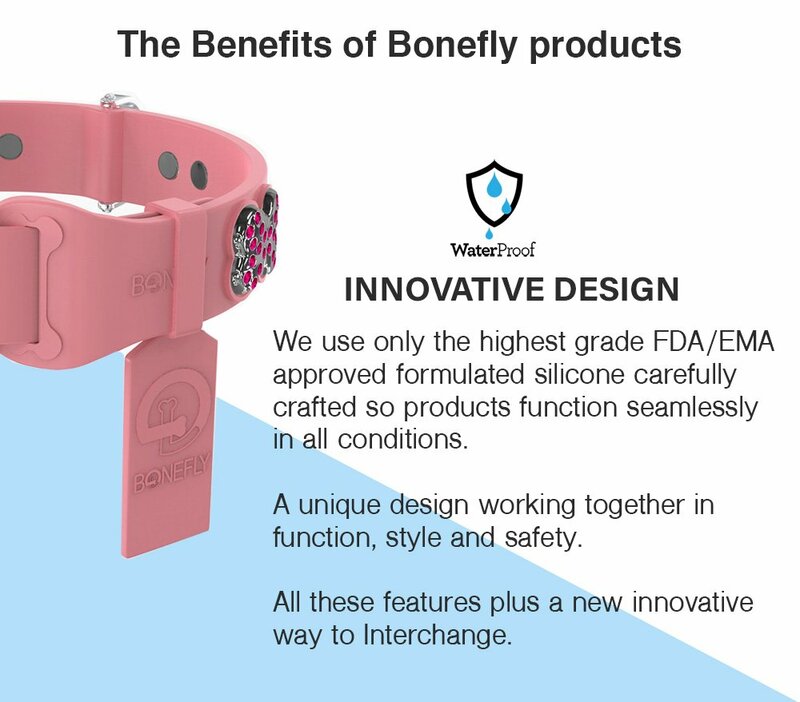 The bonefly collar offers a soft ergonomic structure with a innovative look and functions. 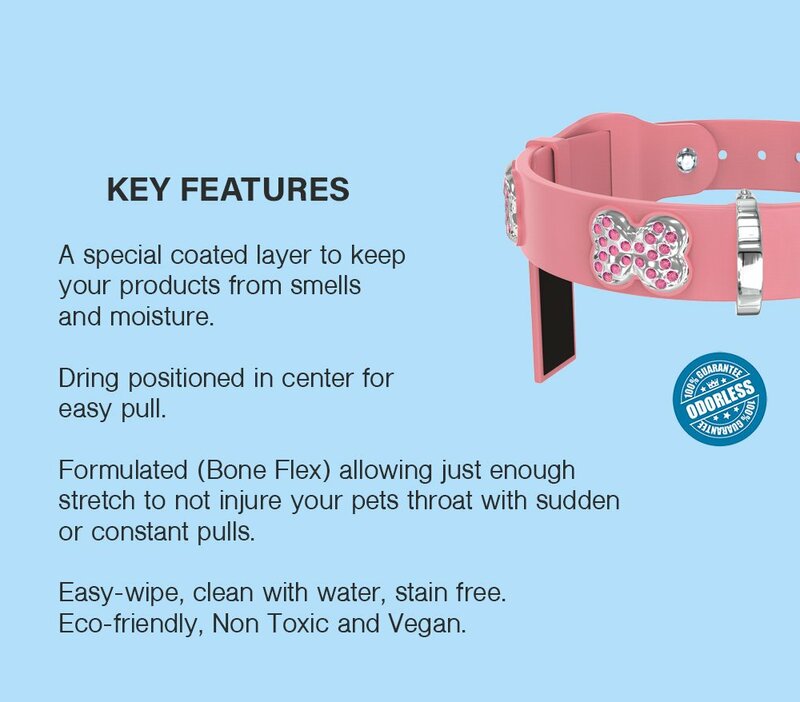 A easy pin & snap buckle that delivers comfort & safety. 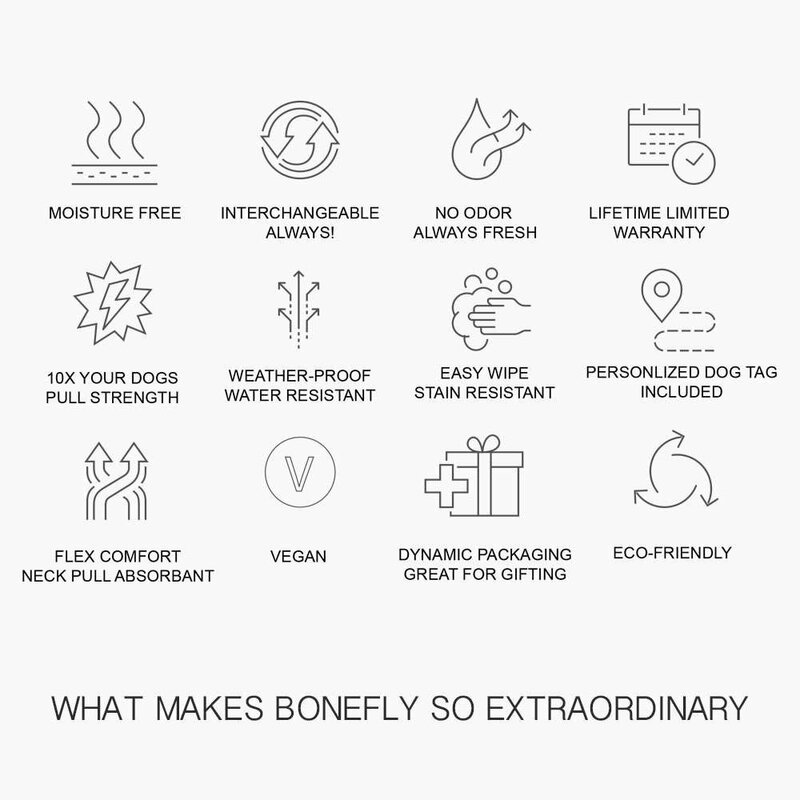 Designed to not pull your dog's hair and always stay clean + odor free. 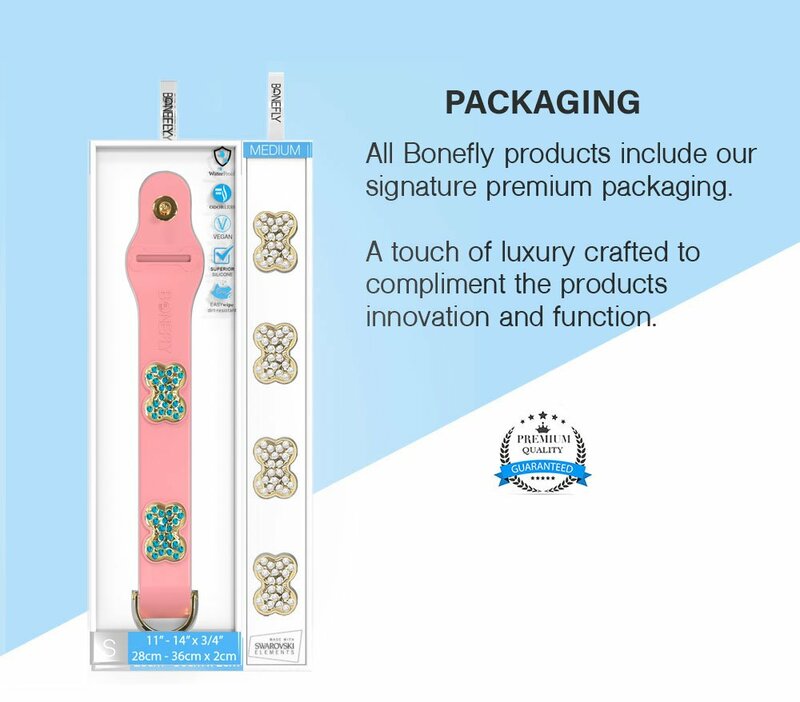 Crystalized with Swarovski hand set crystals in our signature premium plated bones designed to Interchange! Free Shipping, Always! All orders. Orders placed by 1pm Eastern Time will ship same day, Orders after 1pm will ship next day excluding Holidays. 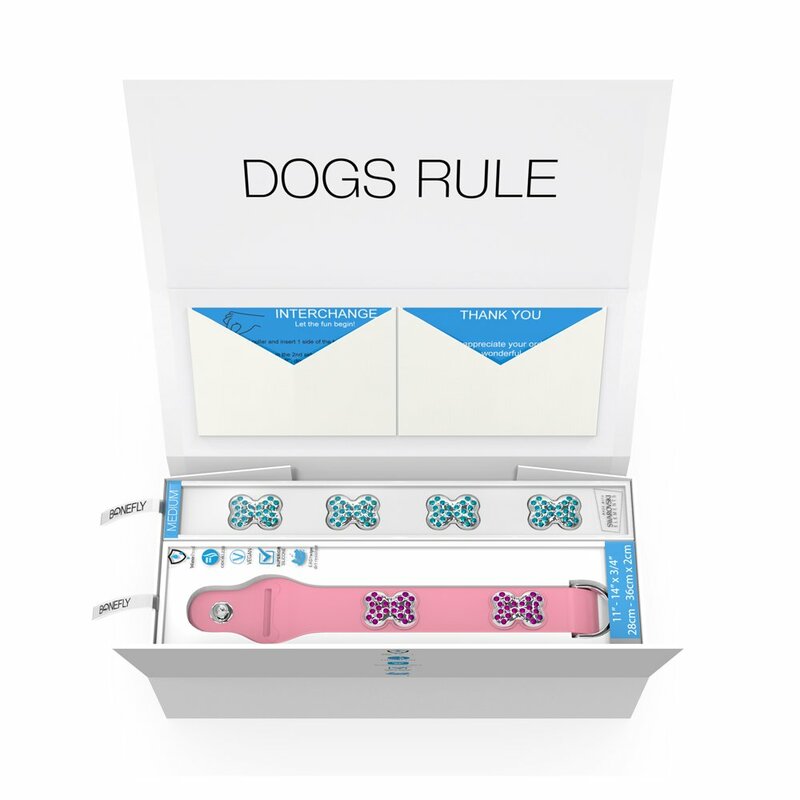 Once your order is ready to ship you will receive tracking info. Subscribe to get special offers, free giveaways, and New Arrival launches!